These Seductive Jeweled Sterling Silver Bali Earrings are hand made in Indonesia. 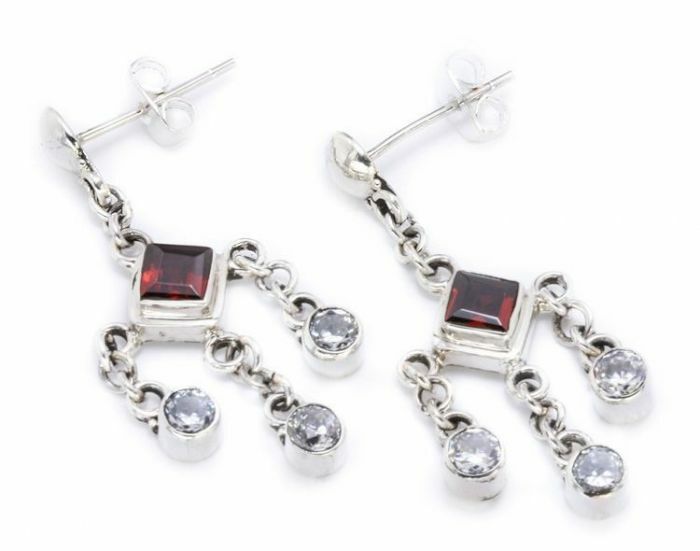 These jeweled earrings have a red center jewel and dangly sterling silver chains with crystal jewels. These earrings will add pizazz to any outfit they are paired with. Check out this matching Seductive Bali Belly Button Ring to add a little more flare to your outfit.